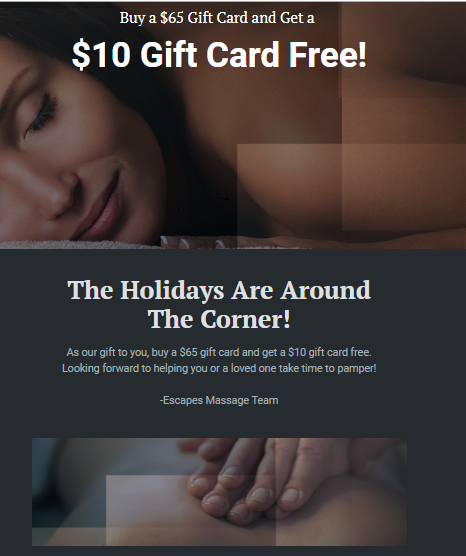 This massage therapy Marketing 360® client uses email marketing to promote massage for gifts and occasions – and sees a nice boost in business from the tactic. There are two things that really work well to both convert new website visitors and turn them into repeat customers. First, you make a great introductory offer. Something so irresistible that they’ll feel regret if they don’t take you up on it. Next, capture contact info so you can continue to offer promotions to turn them into long-term, repeat customers. It’s a one-two punch that’s conversion dynamite, as this Marketing 360® massage therapy client shows. This massage therapy practice does an excellent job of getting their name out in the community. They get a lot of brand name searches, and their highest converting channel, overall, is direct traffic to the website. This all comes together with an impressive 4.44% conversion rate. To develop a base of long-term customers that have high lifetime value for your business, you have to make that initial contact. 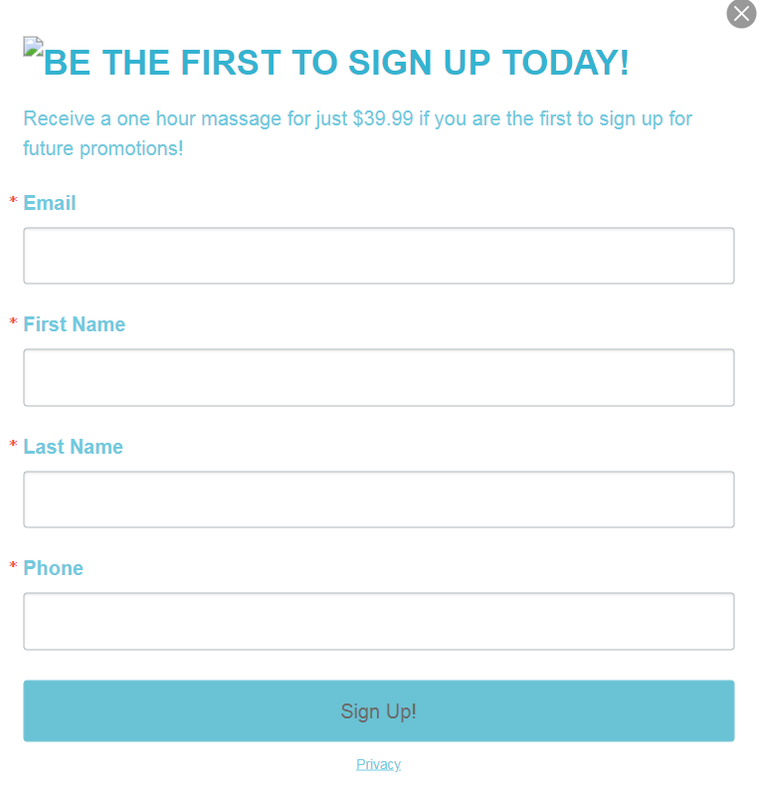 You get permission to send new promotions, turning that first appointment into future ones.